Over the last decade, California has become increasingly cycling friendly. Much of the Sacramento area has been recently improved with bike lanes and cycling paths. As people seek to become healthier and enjoy the outdoors, cycling has become a major hobby for a myriad of different people. It is a shame, however, that many drivers still have not learned how to share the road or fail to exercise the necessary caution and vigilance when approaching an intersection or stop light. For example, a bicyclist lost his life after being struck by an SUV in Carmichael. The bicyclist was on El Camino Avenue near Laurence Avenue when an SUV slammed into him according to Fox 40 News. Under California law, to hold a driver liable for the injuries you or a loved one suffered in a collision, there needs to be evidence that the driver was negligent. A driver is generally considered negligent when they owed a legal duty to another person, failed to act reasonably in light of that duty, and caused an injury. Essentially, a person commits negligence when they are either careless or reckless in a way that puts life or limb in danger. Negligence law applies to most roadway accident scenarios, including collisions between bicyclists and motorists. A car that runs a red light and hits another vehicle is negligent. A car that changes lanes without noticing the motorcycle in the other lane is negligent. The same is true about bicycles and bicycle accidents. These types of preventable accidents are pervasive and occur regularly in and around Carmichael. Across Sacramento, almost 600 people are either injured or killed in reported cycling accidents on an annual basis. As more people turn to bicycles as an alternative means of healthy, inexpensive transportation or recreation, those numbers will continue to rise. The following video by the American Automobile Association (AAA) provides ways motorists and bicyclists can safely share the road. In California, filing a personal injury lawsuit is no small endeavor. The legal process can be incredibly complex. First, you should be aware of the statute of limitations governing personal injury lawsuits. The statute of limitations is a legal filing time limit set forth by the California legislature. The personal injury claim statute of limitations in California is two years. This means that any claim filed after two years will likely be dismissed. 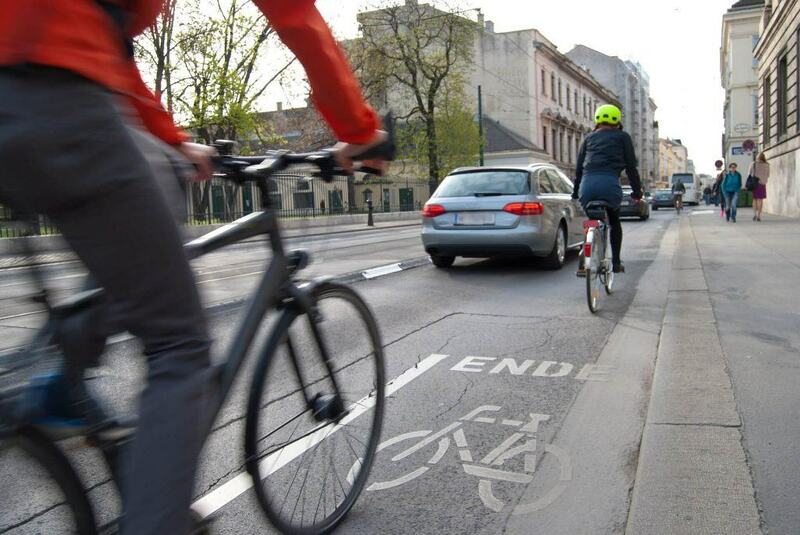 If you plan to file a legal claim against a governmental agency (perhaps you were injured when your bicycle flipped over a large and dangerous crack in an uneven sidewalk), you must notify the government agency within six months of sustaining your injury. Second, you will need to understand the various parties to a lawsuit. Most importantly, you will need to be able to identify the person that caused your injuries and be able to determine their insurance carrier. This is because the defendant's auto insurance company will probably provide the legal defense for the driver and participate in settlement negotiations. If you were the victim of a hit-and-run accident, you could still pursue a financial recovery by filing a claim with your own auto insurance company by accessing your uninsured motorist coverage. I’m Ed Smith, a Carmichael Bicycle Accident Lawyer. If you or someone that you love has been seriously hurt or killed due to a negligent motorist, please reach out to me at 916.921.6400 or 800.404.5400. I am available to provide you with fast, free, friendly advice. I am truly proud to wake up every day and work to help accident victims pursue the compensation they deserve and need, to help put their lives back together. I work on a contingency-fee basis, which means that I only get paid when a financial recovery is obtained for you, typically through a settlement or jury verdict. Contact my office today to schedule a free, confidential consultation. It is always wise to carefully read client reviews for the businesses you are planning to hire. Feel free to read our comprehensive list of client reviews on Yelp, Avvo, and Google. I am currently a member of the Million Dollar Advocates Forum and the Top One Percent, a National Association of Distinguished Counsel. You may view our past verdicts and settlements.